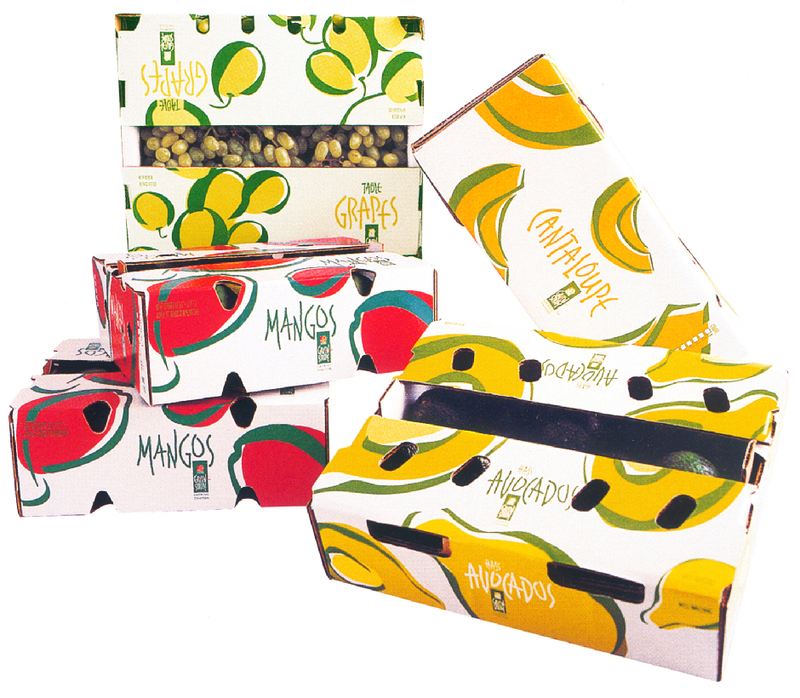 Green Stripe was a fast-growing international importer/exporter of fresh produce. Green Stripe management recognized there were limitations with their “green stripe” logo. The brand was generic, lacked a strong visual message and was not positioned for growth. CrossRoads Studios’ Strategic Brand Analysis, conducted throughout the U.S., Mexico and Chile, identified numerous opportunities to strengthen the overall Green Stripe brand message. The generic Green Stripe name was consolidated to GreenStripe to create impact and uniqueness. CrossRoads Studios also introduced the essence statement, “Growing. Together.”, to underscore the trust, stability and partnerships required among growers, buyers, partners and the client for mutual growth. The original Green Stripe corrugated box lines and labels were disjointed and lacked any visual impact. 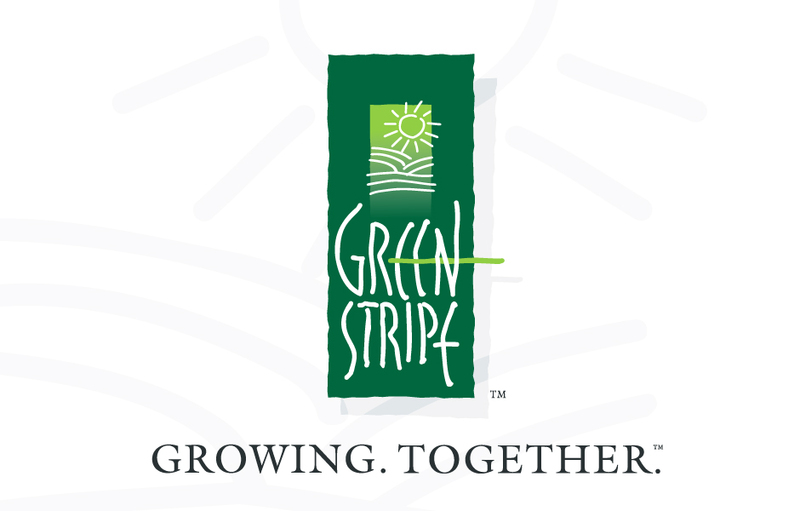 CrossRoads Studios recognized a major opportunity to build the core GreenStripes brand across their entire produce line. 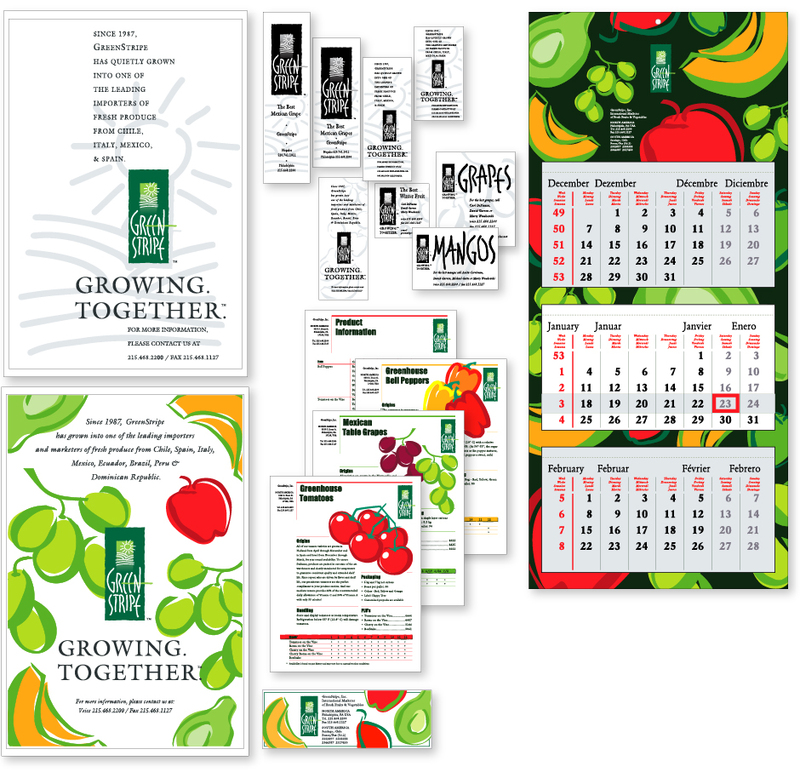 CrossRoads Studios’ design program focused on simple, bold, organic produce graphics. This solution created strong in-store impact and differentiated their products from the competition. The design architecture was applied across all touchpoints including signage, promotional & sales materials, trade show events, seasonal calendars, apparel and website. Throughout our history, we’ve worked with a variety of clientele — from local start-ups, to multinational Fortune 500 companies. We bring clarity, creativity and consistency to every project we develop.